I figured out what I was doing wrong (It was one of those "duh" moments). Thanks tho, Voks. ...but I still don't get that same brush preview( I have a Intuos), of which is what threw me off in the first place. Rey, please tell me you were forced by gunpoint to use the papyrus font. Oh, that and also, great tutorial! Yes I know. Designers hate that font. It's so overused now but it was created for a reason and I think it fit well here......and besides, I was too lazy to look for something else. Just like Trajan Pro fits any movie title(apart from Avatar. We're back to Papyrus for that one). Edit: Oh yeah, and Futura Extra Bold for comedies. 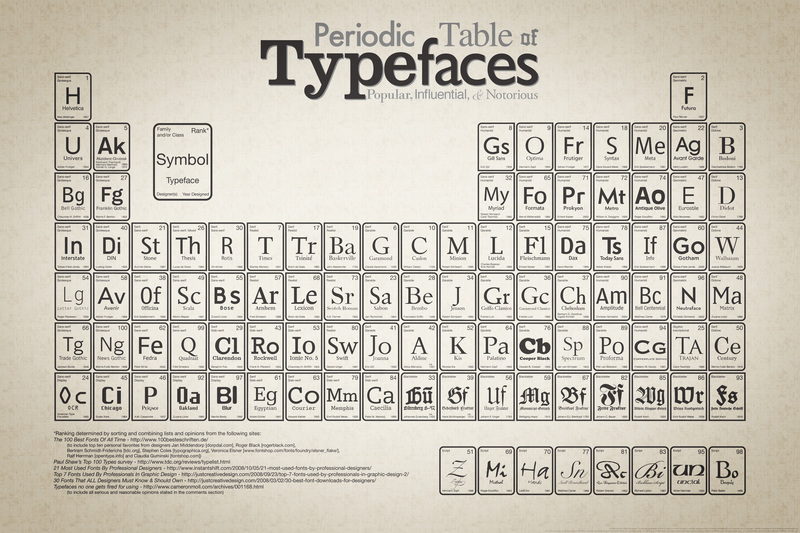 Someone made a Periodic Table of Typefaces. Papyrus and Comic sans are nowhere to be found on it. Half a minute and i had it the same as tutorial. They look so realistic . thanks. Hue and saturation with colorize enabled over the gradient works great for color changes.